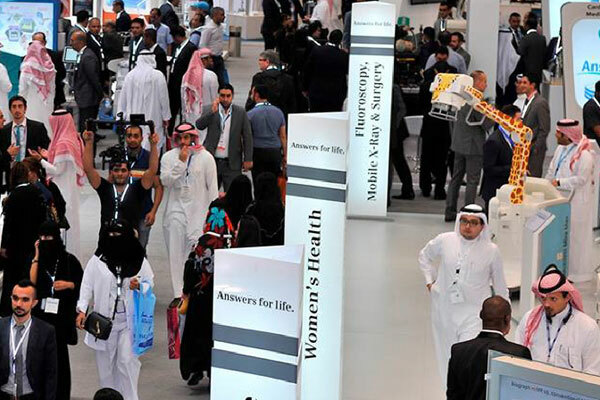 Professionals from across the healthcare spectrum including dealers and distributors, medical manufacturers, general practitioners, doctors, hospital managers, as well as those involved in the delivery of healthcare in the region will take part in the Global Health Exhibition, to be held in Saudi Arabia. The event will take place from September 10 to September 12, at the Riyadh International Convention and Exhibition Center, in Riyadh. This expo follows in accordance with Vision 2030 - the objective to develop and uplift the healthcare sector in Saudi Arabia. The exhibition will host over 135 Saudi-based, regional and international exhibitors, all aiming to showcase the latest advances in health services and medical device technologies to more than 8,000 trade and health professionals in attendance, said a statement. The exhibition will be delighted by the presence of key Saudi governmental entities including the Ministry of Health, Saudi Arabia General Investment Authority (Sagia), Saudi Health council, Council of Cooperative Insurance, CBAHI, Saudi Patient Safety Center amongst other decision makers and investors, it said. Global Health Exhibition is organised by XS conferences and exhibition and in collaboration with Informa Exhibitions, organisers of Arab Health. “Additionally, the exhibition allows its participants to gain unparalleled exposure to key decision makers, government authorities and enabling growth within your network, therefore making it an unprecedented opportunity,” Shakor said. “Moreover, with plans to increase the private sector contribution to the healthcare industry to 35 per cent, up from 25 per cent, this will open up new opportunities and therefore making this exhibition timely for distributers and manufacturers alike,” he added. The exhibition’s multitrack congress will host seven conferences discussing various key themes including the “Impact of Politics on Healthcare”, “Value-based Healthcare”, “Embracing the Future” and “Healthcare Investment, Financing and Reimbursement”, it said.